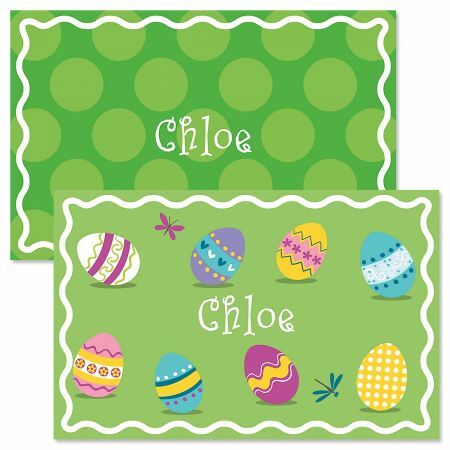 Personalized on both sides (same name), this placemat’s happy illustrations remind your child every day that a joy-filled holiday celebration is coming. Placemat reverses from dots to eggs and measures 11" x 17". The colorful graphics are laminated, so you can wipe this placemat clean in seconds. Great Easter gift for kids!